Home » News » Updates » Shemin’s New Christmas Gifts! We couldn’t keep our NEW Shemin’s Christmas Gifts a secret any longer! 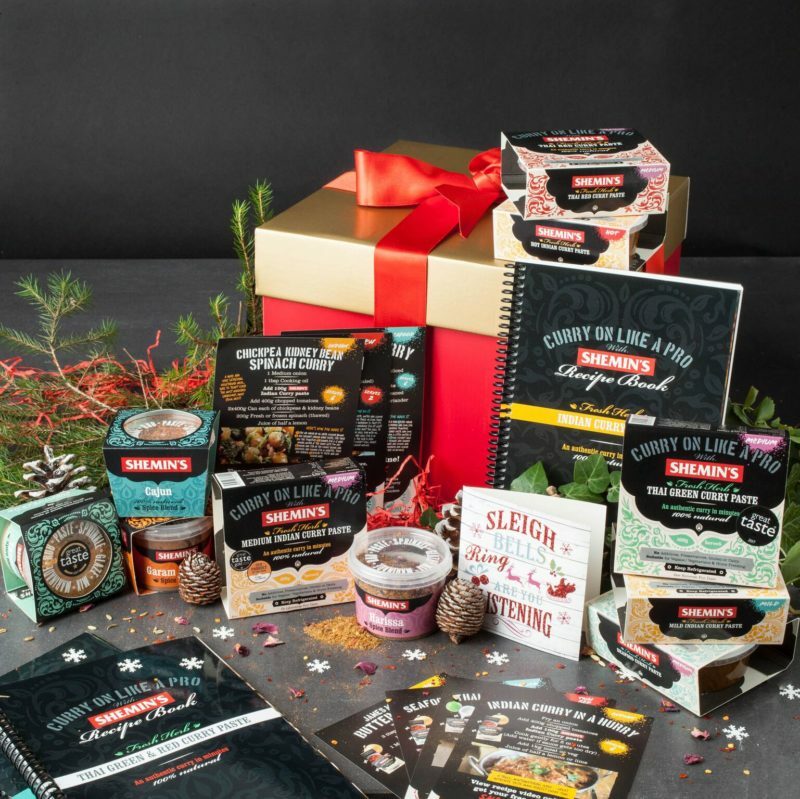 We’ve got 4 New Christmas Gift Boxes so you can spice up someone’s Christmas this year with Shemin’s! Each box will contain your selection of our delicious products, a hand-written card plus mouth-watering recipes wrapped in festive tissue and packaged in a beautiful red and gold gift box with a hand-tied satin red bow. To get into the festive spirit, we’re offering 10% OFF Christmas Gifts until midnight Sunday 5th November. Simply use the code CHRISTMAS at the checkout. Select the date you would like us to send your gift box and it will arrive within 2 days. If you want the gift for Christmas Day simply store the gift box in the fridge as the products have a minimum of 26 week’s shelf life.